Samsung recently reported its second consecutive quarter of record earnings, thanks in no small part to its wildly popular line of Android-powered Galaxy smartphones. The South Korea-based vendor also just took the wraps off its next-generation flagship Android smartphone, the Galaxy S III. While the device may have opened the door for rivals to make some moves if they can act quickly enough, Samsung is currently the No.1 smartphone vendor in the world by volume and the Galaxy S III should help it retain that title. As good as Android has been for Samsung, however, the vendor continues to make it clear that it does not want to put all its eggs in one basket. Samsung sells smartphones running its in-house Bada platform in the Asian region, and channel sales approached the 10 million-mark in 2011. The consumer electronics giant also said it is interested in making some acquisitions in the mobile space, and while RIM may not be on the table, the numerous software customizations seen on the upcoming Galaxy S III smartphone suggest that Samsung is looking to gain more control over the experience offered by its smartphones. This past January, Samsung announced that it will be folding its Bada efforts into a new project headed by Intel. 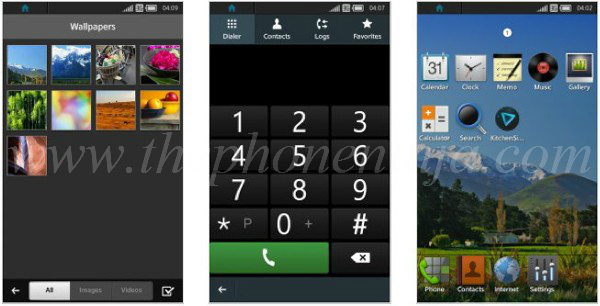 Tizen, an off-shoot of MeeGo, is an open-source smartphone platform based on Linux. While Samsung’s long-term goals with Tizen may be unclear, the company is working closely with Intel and it debuted a developer reference handset at the 2012 Tizen Developer Conference on Monday. Check out the official Tizen website.